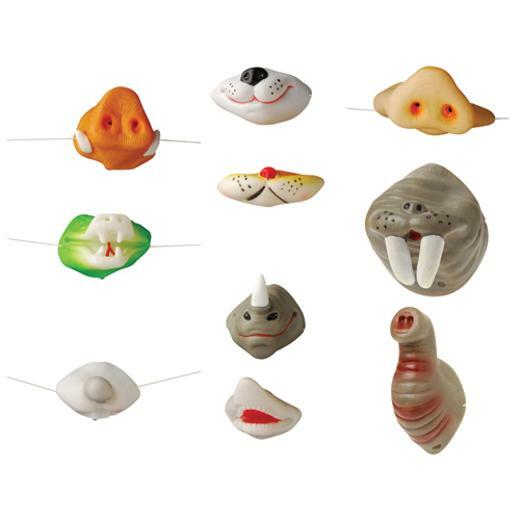 Cheap Animal Noses - 12 Ct.
Pretend you're an animal with these assorted animal noses. The assortment contains a variety of noses. U.S. Toy Exclusive! Find the best Halloween costume accessories at the best prices. We have a wide selection of accessories that will complete any trendy or hot costume. Inspire creativity in children with dress up or pretend play games using our wide range of costume accessories. L: 10.0 in. W: 13.0 in. H: 2.0 in.